Unlike other dried fruit, our Peach Fruit Crisps have the same nutrition as fresh peaches. Why? Because they are just fruit, REAL FRUIT, nothing else! 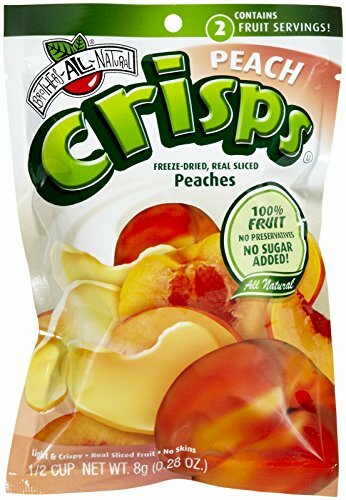 The ONLY ingredient is 100% freeze-dried peaches, that’s it! Packaged for convenient, healthy snacking, each pouch is portioned to contain less than 60 calories and two full servings of fruit!